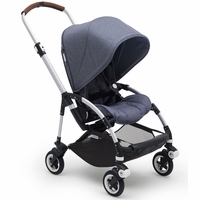 From conception, Bugaboo has focused on creating innovative, timeless products that make life easier for parents. Starting with an idea for a first-of-its-kind stroller in 1994, Max Barenbrug wanted to make a multi-functional stroller that could operate as easily on a city street as it could in forests. 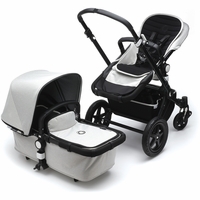 Bugaboo was born in 1999 when Barenburg and his partners bought their own factory to begin creating their products. Since then, they have worked to inspire parents to go out and explore with their children. 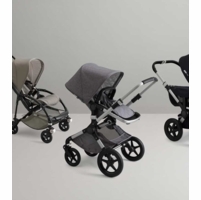 Bugaboo quickly became a popular choice among parents thanks to their innovative, functional products that featured great maneuverability, durable construction, all with a compact, lightweight design. Their inventive products may be functional, but they do not sacrifice on style. You are sure to find a product with all the feautures you love and also in a style that suits your personal tastes. 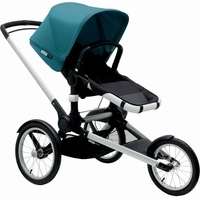 One of the most popular stroller lines in the Bugaboo brand is also the one that started it all: The Cameleon. The innovative, iconic all-in-one stroller has evolved with the company, and it’s now onto it’s third generation. 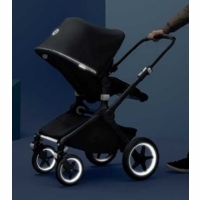 The Bugaboo Cameleon3 proves that some things are truly better with age, packed with features such as a rotating handle, changeable wheel positions, and a reversible seat. Despite the many features, the Cameleon3 remains lightweight, compact, and incredibly maneuverable. In an assortment of colors, there’s sure to be a one that tickles your fancy. 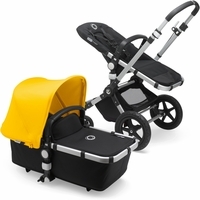 Another popular Bugaboo stroller is the Bee3, created with the active parents in mind. 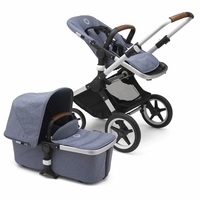 The Bee is lightweight and incredibly easy to handle, making navigating city streets a breeze for parents, while remaining comfortable for baby. This stroller will be able to take you from infant to toddler with it’s ability to change and grow with a few simple adjustments. 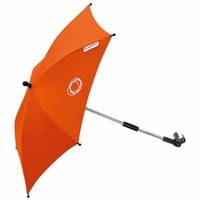 The Bee3 also includes the inventive one-piece fold feature, enabling it to be stored in tight spaces. 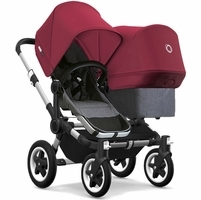 When it comes to strollers, you cannot find a better company than Bugaboo for innovative stylish products. 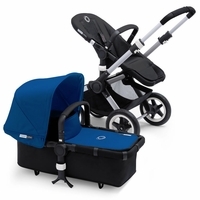 Check out our selection of Bugaboo products today!